Welcome to Solar Facts and Advice - your authoritative source for facts and advice about solar energy and everything solar. You've lived with the sun your whole life and probably like most of us take it for granted. But do you realize just how great the sun is and what it can do for you? Our goal is to help you get the most benefit from the sun. Whether you want to protect yourself against disease, produce electricity, cool yourself down, reduce your utility costs, make money, improve your lifestyle, or protect yourself from damage by the sun - this site is here to help you. The sun is there for you ... and you owe it to yourself to get the most out of it. Every person ever born has experienced the suns benefits and you would think we would know everything there is to know about the sun - but that just isn't the case. To find out what we do know ... as well as what we are still learning about, read some of the articles in our section on Solar Facts. Electricity is the lifeblood of modern civilization and you can get as much as you want from the sun. But to do it right there is a lot of new terminology, technology, concepts and practical issues that you should know if you want to make the most informed choices about how to proceed. Whether you want to invest in solar projects to make money, work in the expanding field of solar energy applications, or use solar energy for your own home or lifestyle - we're collecting and publishing a lot of valuable information about the technologies, including detailed facts, expert advice, and valuable tips that will save you time and money. One of the first things to keep in mind is that solar energy can provide more than electricity, it can be used to produce heat and even cooling. Coupled with other products there is a growing number of practical ways that solar energy is creating more options to change our lives. Read our new section on Solar Uses for examples of how solar energy can be used in positive ways. Next to good health and electricity - you need money to survive - and the sun can help you make that too. Solar power is one of the fastest growing industries. Why? Because a lot of people are making money: solar customers, investors, entrepreneurs, employees, installers, researchers, bankers, the list of people benefiting from the growing popularity of solar energy is growing quickly. Hundreds of thousands of new jobs are being created - and this industry is just getting started. The opportunities to make serious money are available and we are collecting and publishing information about these opportunities provide some valuable tips to help you select which opportunities could benefit you. Sure solar energy is good for the environment, and it's especially nice when the sun comes out, shines on your solar panels and put money in your bank account. More than 63 countries have incentive plans that pay you to produce electricity from the sun ... and a lot of people are making money doing this. Whether you are looking for a good investment opportunity, want to reduce your utility costs, improve the value of your home, start a career or new solar business - we're putting together valuable information, resources and advice to help you. "The sun, with all those planets revolving around it and dependent on it, can still ripen a bunch of grapes as if it had nothing else in the universe to do>" - Galileo. When you are in the sun - your body naturally produces vitamin D, which is vitally important for good cell health and disease prevention. According to researchers nearly two-thirds of all diseases can be linked to vitamin D deficiency. It is necessary for good health and it helps you optimize your body - by building and maintaining a strong skeletal system, heart and even muscle health. Nearly 90% of adults are Vitamin D deficient- so be sure to read the many articles we've written regarding the benefits of Vitamin D, the best way to get vitamin D, and all ways it helps your body run better, including helping you prevents 70% of the major diseases, live longer, and much more. Not only can the sun help improve your overall health, provide you with the energy you need but going solar helps reduce carbon emissions, and can give you peace of mind. Learn what people all around the world are doing to bring about the solar revolution. An enormous amount of resources are being invested in new photovoltaic technologies and products that will make solar energy an even bigger part of our lives. The solar industry is changing quickly – and change creates opportunities. Check out our section on Solar Research to learn about some of the most promising research going on that will make solar energy more effective and more reliable. We have info about ongoing product research as wall as engineering information and links. For example, check our link on Thermal evaporation that is used in the production of solar cells. One of the new areas we'll be adding soon will be about interesting solar applications, and interesting examples of real life solutions that people have built / plan to build using solar energy. In fact, if you know of any such applications please send them to us and will add them to our site. Like any fast growing industry things are changing quickly - and there is a lot of information coming out. We help you sift through this information - find the key facts, identify the key trends, find good opportunities, connect you with the people who can help you, and give you advice to let you get the most benefit from the sun and solar energy. Our goal is to help you learn the facts - not just the easily discoverable facts, but the insights and advice from experienced professionals and solar energy users ... and to provide suggestions and contacts to help you use this information for your advantage. Click on "New Articles" to the right so you can quickly see the new articles we've added to our site on a day by day basis. Solar News and Views is a one stop place to find the latest industry news, updates about leading solar panel manufacturers, solar industry forecasts and analysis, and articles about what is happening around the world in the solar industry. To find out what is happening in your country - just enter it in the handy searching tool at the bottom of each page and you'll find articles we've written on just about every solar subject. We've written more than 700 helpful and interesting articles about solar energy and related topics to help you. When you sign up for our RSS feed or friend on Facebook you can be advised as new articles are added to our various websites and blogs. Everybody on the planet benefits from the sun -- and we want you to benefit even more than you have in the past. To do that we're publishing important facts and advice -- but to get the most out of what we're doing - join our network. "Like" us on Facebook, "Follow" our blogs, send messages, volunteer articles, link to our site, leave comments -- give us your feedback. If you have questions, suggestions please be advised we've recently teamed up with major solar engineers and developers in Europe in order to provide you with information about even more products, opportunities, and to provide you with personalized assistance on any commercial projects you are involved with. To get customized advice, send us information about what you are doing, or leave a comment be sure to click on Contact Us. Be an active part of the solar community - and let's all enjoy the sun together. Thanks for visiting - come back often. Solar Facts and Advice helps you produce electricity, improve your health, and make money from the sun. Get the facts, valuable advice, and network with others who support solar energy. Get latest solar news, industry trends, research, and who's doing what around the world. 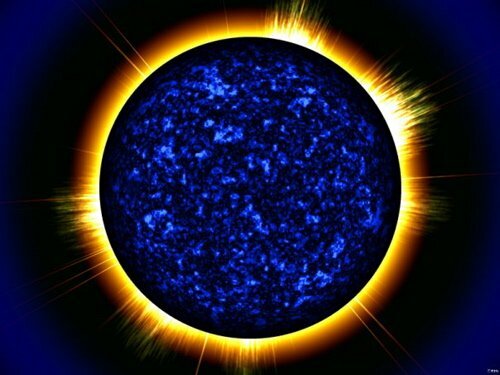 Studying the sun should be a major priority in the 21st Century. Here are some facts about the sun to help you better understand solar energy. Solar Calendar: The Origin of Time? Monocrystalline solar panels are the most efficient and longest lasting. Learn why they are the industry standard and their 8 advantages and 2 disadvantages. Polycrystalline solar cells are a lower cost, but less efficient alternative to solar cells made from a single silicon crystal, get the facts. Thin Film Solar Panels: The Future of Solar? What are solar panels, solar cell technologies, and solar research? Go to Solar Facts and Advice. Who Benefits from SRECs (Solar Renewable Energy Credits)? What are SRECs? How do I get one? How much are they worth? Who benefits? Solar careers are one of the bright spots of today's job market. Read on to learn where the opportunities and resourcesare. Several solar energy stocks had gains over 100% in 2010, and two gained more than 1,000 % – what will happen in 2011? Higher levels of Vitamin D help produce telomerase, resulting in longing telomeres: the genetic marker of long life. A vitamin D supplement can help prevent disease. Get the facts of what to take and how much. How can you support solar energy? By learning the facts and making good choices.